The blood coursing through our veins distributes the oxygen, nutrients and energy our organs need to function and stay healthy. It’s a substance considered so precious by the medical community that when a person donates blood they are often thanked for giving someone else the gift of life. In this blog post, I examine how “the liquid of life” can be compromised by this faulty medical product and some of the legal options victims of defective hernia mesh may use to obtain compensation and damages for the pain and suffering they have experienced from sepsis. As the Mayo Clinic notes, “blood poisoning” is not a medical term. Rather, it’s a common way to refer to “bacteremia” – the presence of bacteria in the blood. While not literally poisonous, bacteria in the bloodstream is a serious situation that can lead to progressively more dangerous conditions such as sepsis, septic shock, organ failure, and even death. 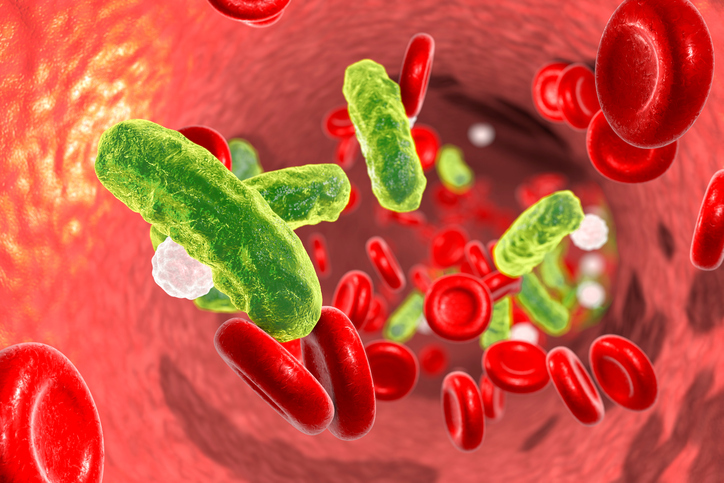 When left untreated, an infection that brings an excessive amount of harmful bacteria into the bloodstream can trigger a body-wide inflammatory immune response called sepsis. Often characterized by fever, chills, general weakness, an increased white blood cell count, rapid breathing and a racing heart beat, a severe case of sepsis can result in the failure of an essential system in the body or inadequate blood flow to parts of the body. Septic shock – a state of dangerously low blood pressure – can cause organs to malfunction and fail. There are several ways defective hernia mesh can create the conditions for sepsis. First, some hernia mesh patients experience a foreign body immune response to the materials used to create the mesh product. This immune reaction can cause a chronic state of inflammation that may lead to infection. An infection that develops on a hernia mesh often produces a biofilm of highly organized bacteria. These biofilms are especially resistant to antibiotics treatments. Moreover, if antibiotic treatments that suppress symptoms but don’t cure the underlying infection are stopped, the infection can often return with even greater strength. Surgery to remove the mesh is often the only way to permanently halt these infections. Mesh shrinkage or mesh migration has also been known to perforate organs such as the intestines and bowels that ordinarily clear waste from the body. When contents from these organs leak into the surrounding tissue, a serious infection called peritonitis can occur and result in sepsis. The chronic infections defective hernia mesh may cause can be debilitating. If left untreated, these bacterial infections can develop into life-threatening conditions such as severe sepsis and septic shock. When a medical product designed to improve the quality of your life is faulty and creates situations which put your life at risk, you do have options to seek remedy and justice for the harm done. By consulting an experienced personal injury lawyer with expertise in product liability law, you can become better informed about legal avenues to get compensation and damages for your pain and suffering. If you or a loved one has experienced conditions such as sepsis which you or your doctor believe to be caused by defective hernia mesh, or if you have been told you need mesh revision or removal surgery to prevent these kinds of conditions, you may be eligible to participate in a mass tort lawsuit against the manufacturers of these faulty products. Call us to share the details of your story and to learn if you qualify to participate. ut non Donec Nullam Praesent Aliquam neque.